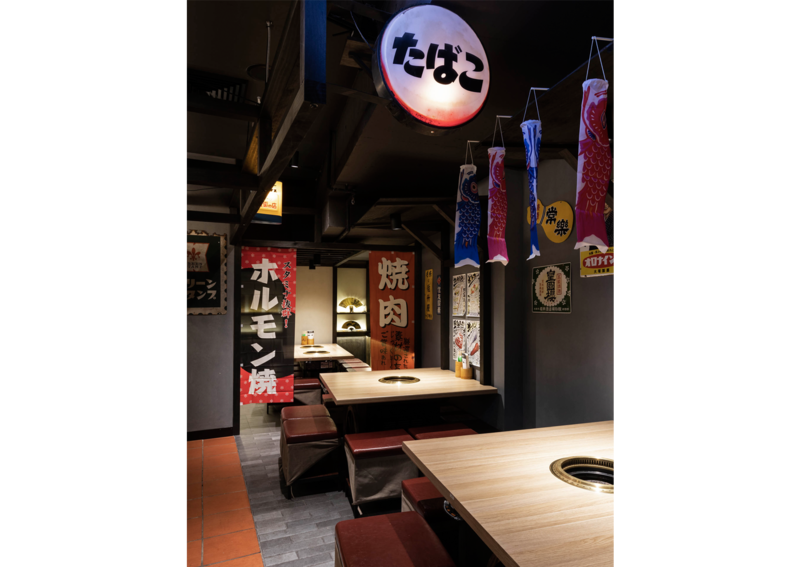 Located in the heart of Regent Place, Sydney CBD, Yakiniku Yokocho is a Japanese barbeque restaurant that broadly translates to having grilled meat in hidden laneways. 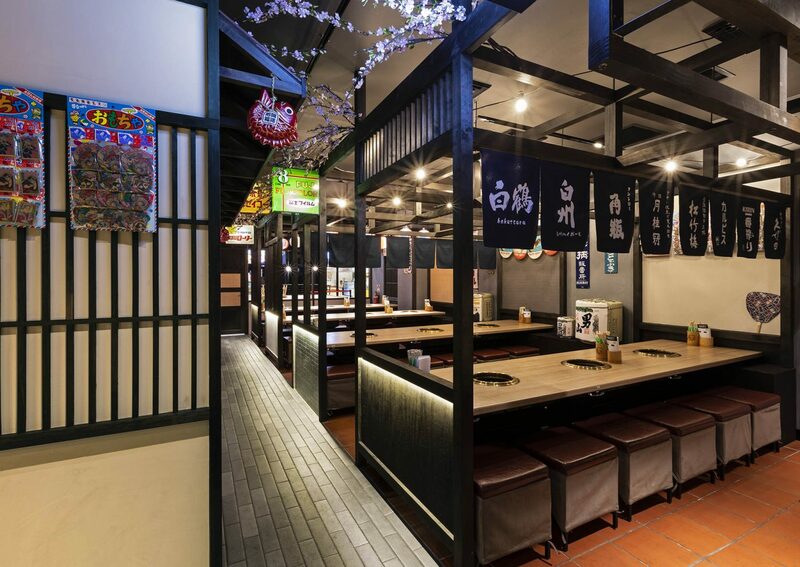 It offers an authentic Japanese barbeque experience similarly to the ones found in the alleyways of Japan. 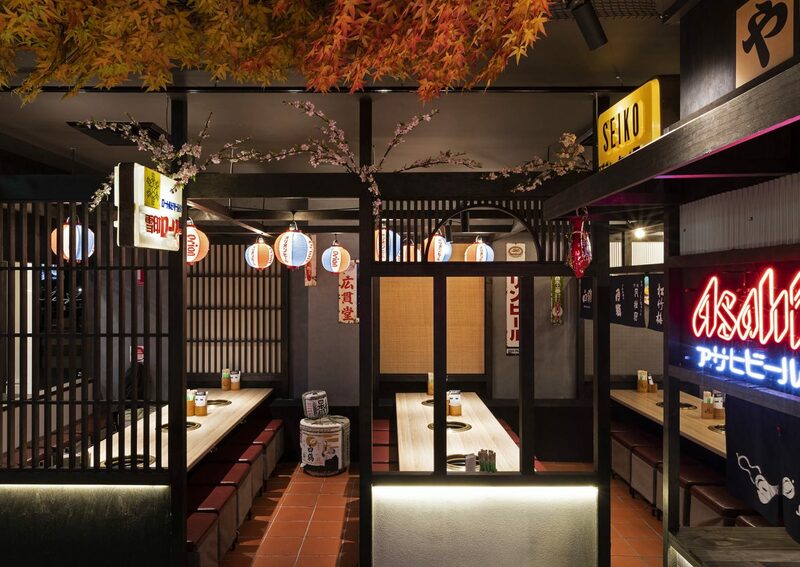 Yakiniku Yokocho’s intention is to bring these colourful and vibrant mysterious food alleys to the heart of Sydney. 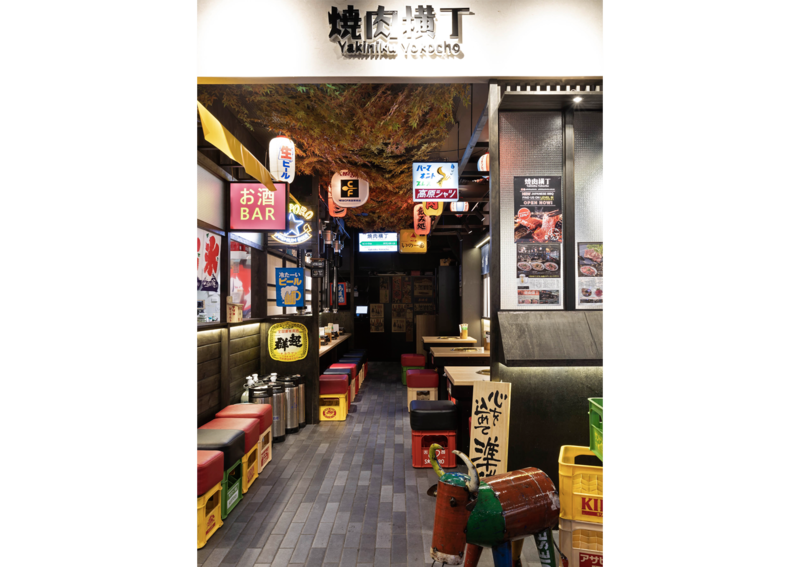 Yakiniku Yokocho has provided a space for social gatherings and nightlife through the layout and design of the restaurant. 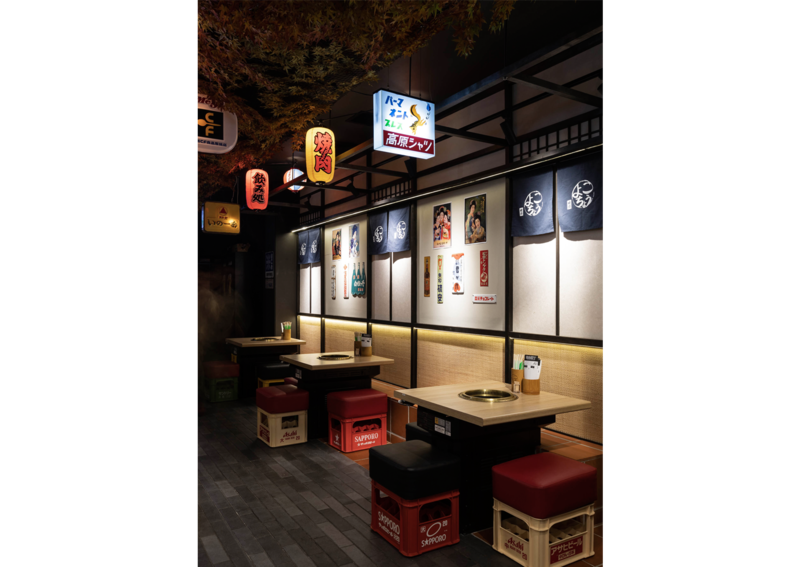 The shopfront and interior design is an imitation of the rows of houses and shops along the Japan streetscape. 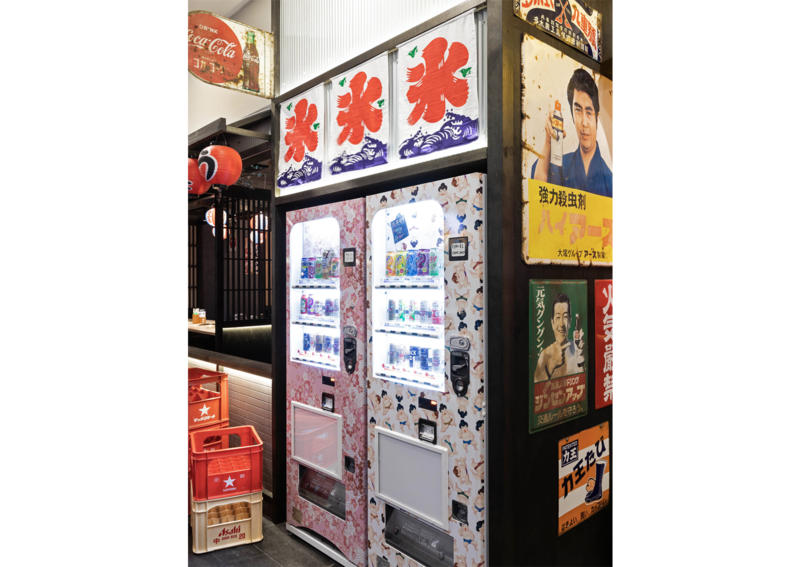 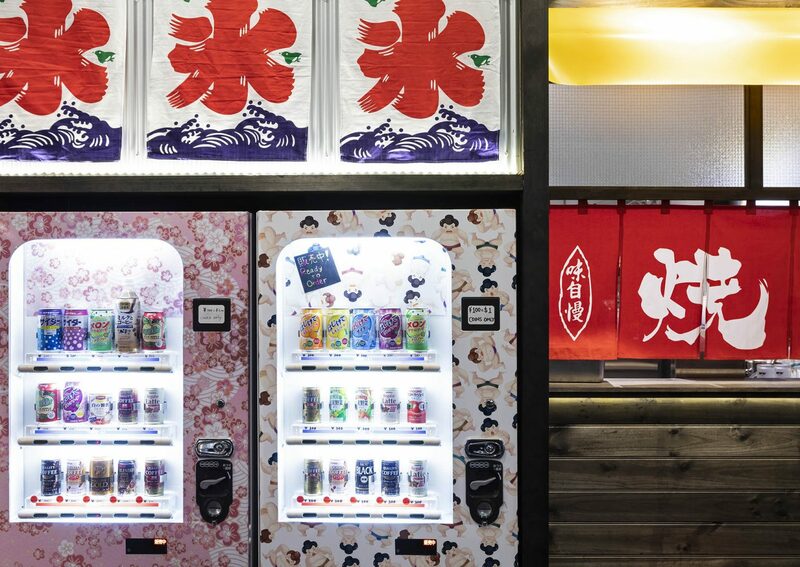 Various props such as vintage signages, beer crates, noren curtains and vending machines bring the eccentric and iconic Japanese street vibes to Regent Place. 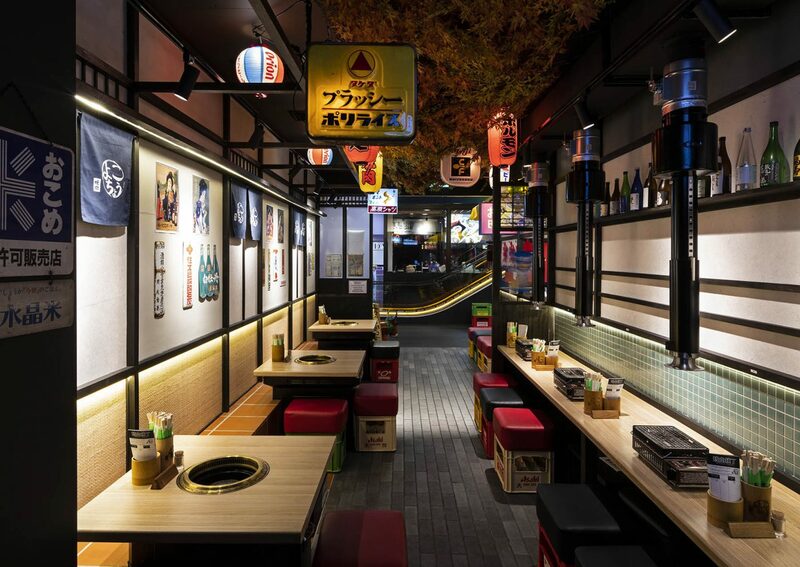 The vibrant street culture of Japan’s alleyways is recreated within Yakiniku Yokocho in a minimalistic yet eclectic fitout. 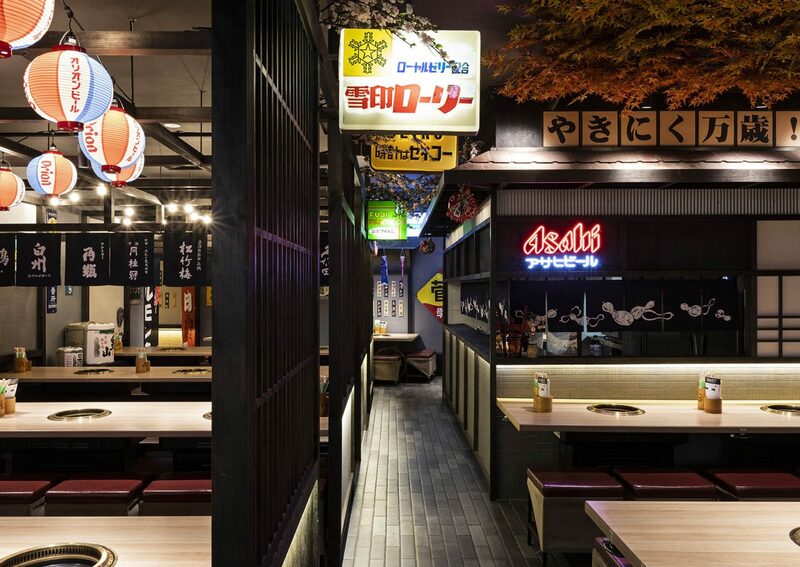 The overall circulation of the restaurant is inspired by the mysterious and narrow alleyways found in Japan. 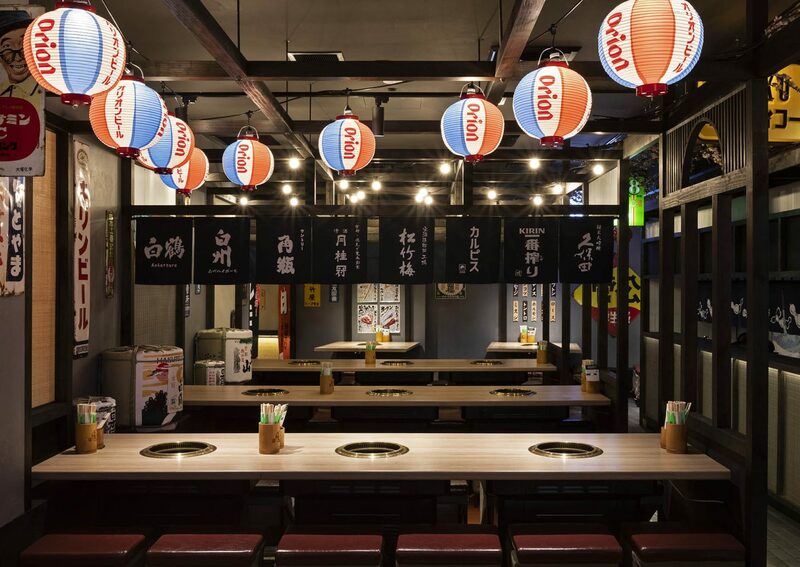 As patrons walk through the restaurant, they will encounter hanging lanterns, bright neon signages, posters and the bustling of tables which reflects the ambient and vibe of typical alleyways. 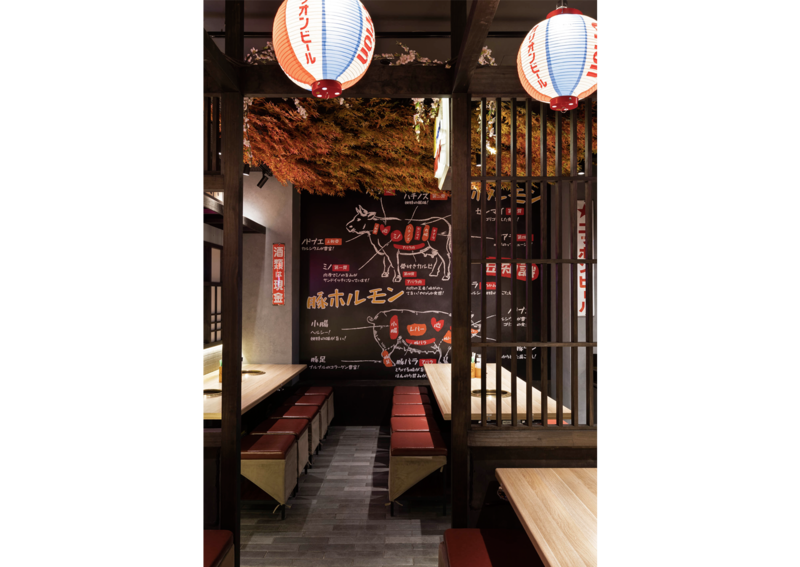 To enhance the experience, hanging maple leaves and sakuras have been installed as a ceiling feature to reflect the ones found in a ‘yokocho’. 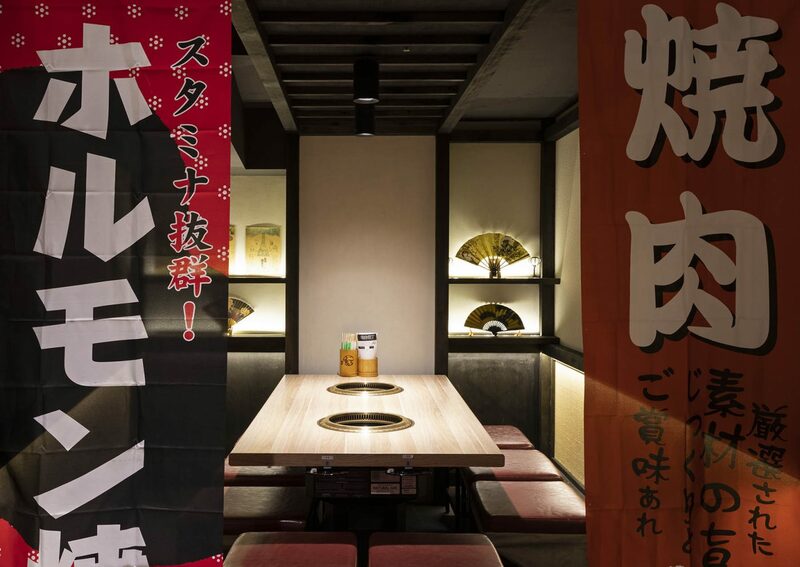 Both the logo and logomark are inspired by the traditional brush calligraphy found in Japanese culture. 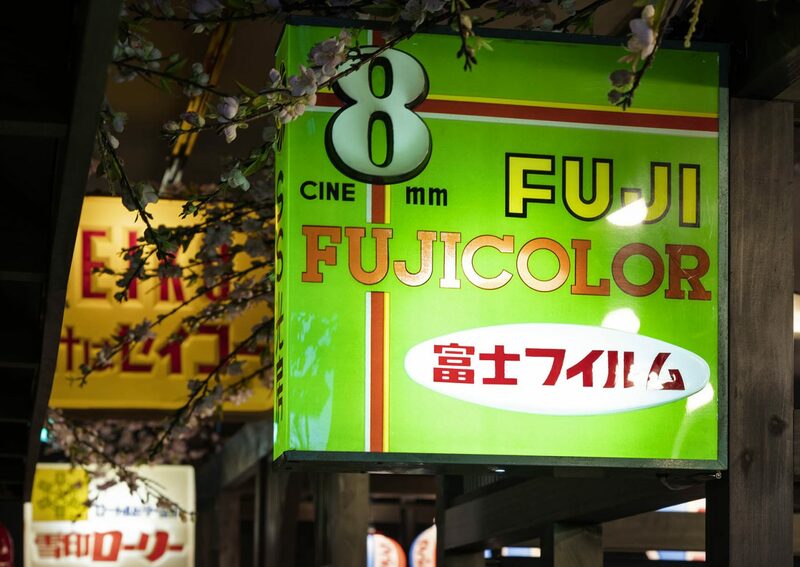 The main logo features both Japanese and English to reinforce the business nature and keep the overall brand simple and recognizable. 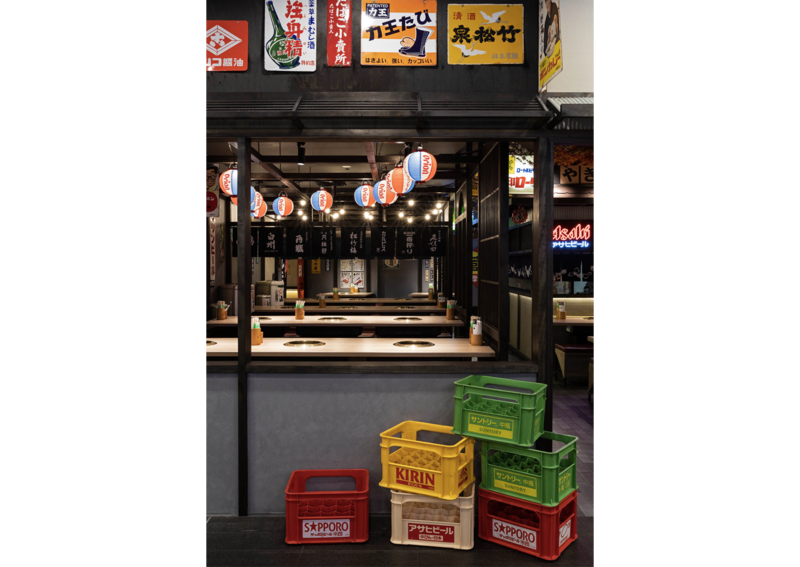 The logomark is a derivative of the hiragana characters “Yokocho” so by infusing the brand’s name with a circular element – similarly to a traditional seal, the overall design is kept simple reflecting a sophisticated and nostalgic image. 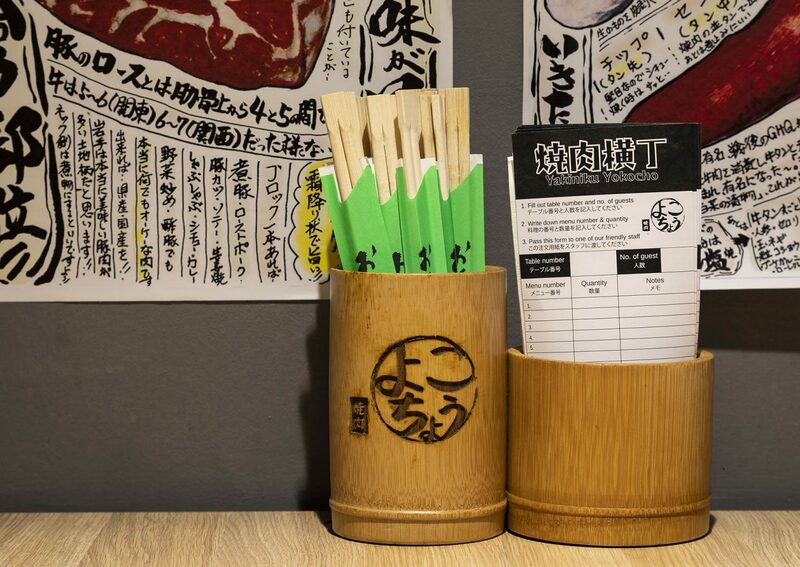 These logos are featured on both print and digital platforms to solidify the brand so it can establish itself in the Sydney Japanese cuisine market.